I am a Disney Fanatic! I mention it in many of my posts that contain anything Disney. 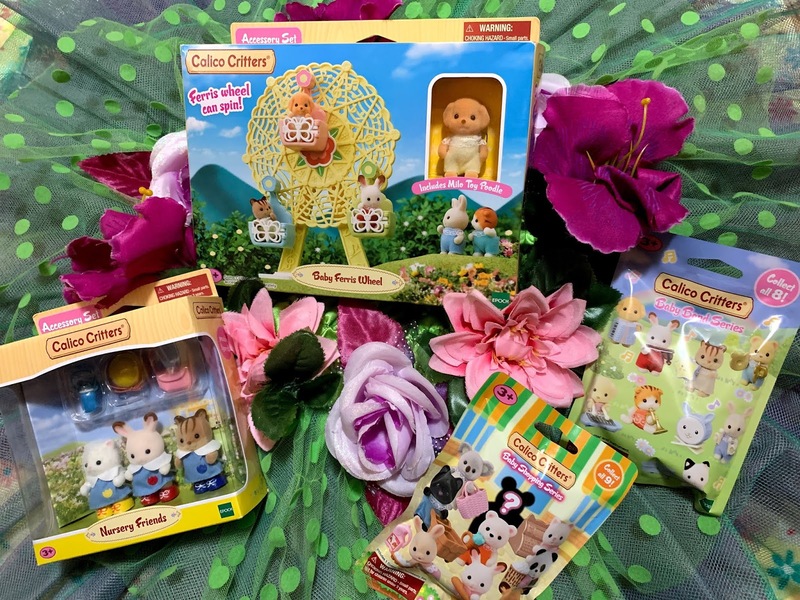 I had the chance to check out the Disney Consumer products event and I was in complete AWE! There is so much stuff I would love to talk about, but it's being kept a secret for a while... But no worries! 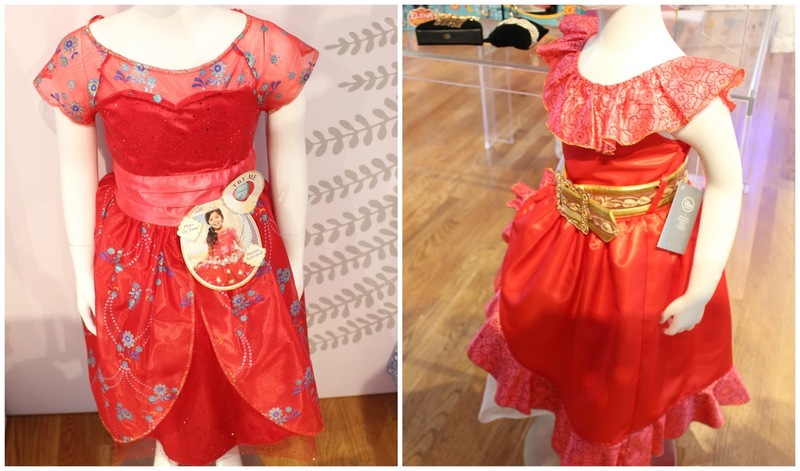 I can fill you in on all new things from Disney's upcoming premier of the new Latina Princess, ELENA of AVALOR! Who is Elena of Avalor you ask? Well, Princess Elena of Avalor is the protagonist of the upcoming Disney Channel animated series, Elena of Avalor. She is also set to appear in an upcoming episode of Sofia The First where young Sofia discovers the true magic of the Amulet and sets out to free Elena! In Elena of Avalor she is the oldest princess of the magical Kingdom of Avalor, next in line to the throne. But before she can become Queen, she must learn to rule as crown princess... Even if it has been 41 years since she was first trapped in the Amulet. Elena's enchanted scepter starts up with lights and sounds when you press the bejeweled handle, or select the second mode for automated motion activation. The My Time Singing Doll allows children to sing along with Elena of Avalor as she embarks on her magical adventures! With the press of Elena of Avalor's gem necklace, you hear her sing "My Time," a powerful song featured in the brand new series. Her articulated arms will allow her to hold the included guitar as she sings this magically wonderful song! An ever so beautiful gift set that any child would love to obtain! It comes Jam Packed with 5 Articulate dolls, as well as plenty of accessories! Both dresses are Absolutely GORGEOUS!! While the Dress from Jakks Pacific is her Adventure dress, it comes adorned with flowers, has a sparkly Tulle underlay and a floral adorned overlay. It also plays the song "My Time" and lights up gorgeously! The dress from DisneyStore.com is the one we all recognize the most as Elena's gown. Adorned with the beautiful gold belt, there is no way any girl could go wrong! The Elena jewelry set features earrings, bracelet, and colorful hair comb clip. I would sincerely NOT mind wearing these beautiful accessories. The girls will be ready to rule any kingdom with these beauties. 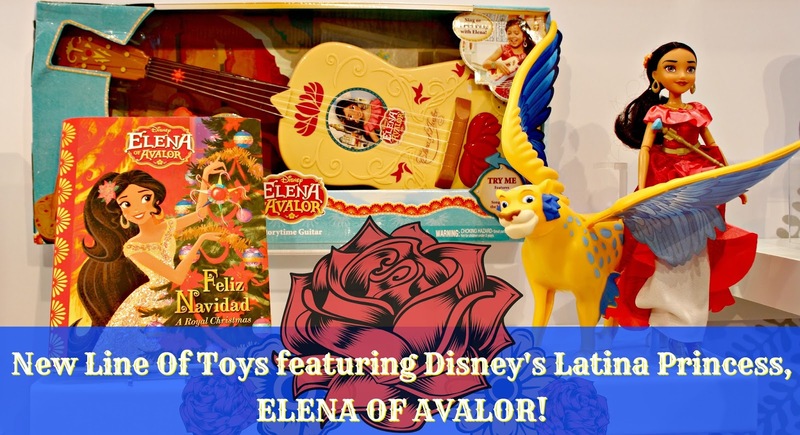 Just like Elena's vihuela guitar from the TV show, your princess can have story time fun as she sings and plays along to songs from the show or creates their own music. Choose from three songs featured in the TV series: "My Time,"The Magic Within" and "Ready to Rule". In the Book, Elena decides to host one big Navidad celebration in the park so everyone can celebrate together. But each community is trying to prove that their traditions are the best. It's a must read for children so that they can learn that all traditions no matter how different, are indeed amazing. 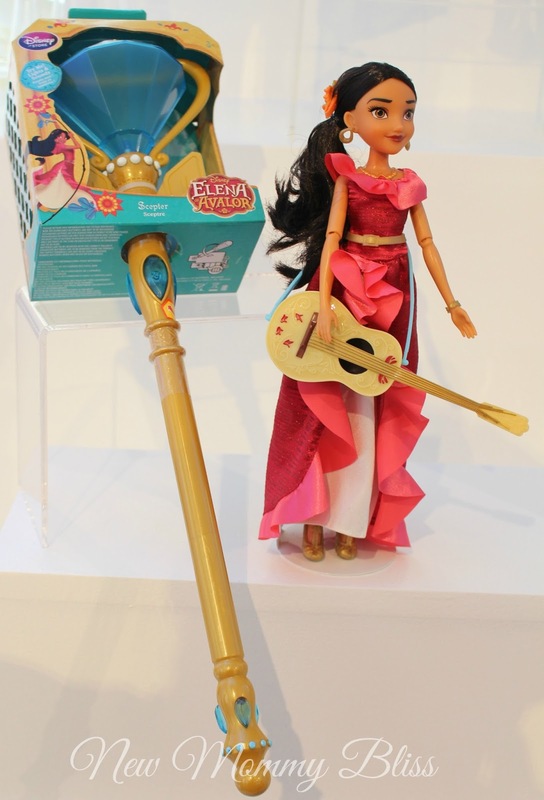 And Lastly, Hasbro's Elena of Avalor and Skylar 2-Pack! I am IN LOVE with Skylar. If you can't tell, She is a Winged Jaguar. Kind of like a Pegasus, but instead of a horse, it is a jaguar. When Princess Elena and her loyal friend move, Skylar's wings flap in the wind. I really want to get my hands on this one. OVERALL, I am obsessed with Elena Of Avalor. The music from the series is catchy, the graphics are lovely, the adventures are fun and Elena Of Avalor Disney Consumer Products are amazing. Don't forget to tune in to see Elena Of Avalor on July 22nd on Disney Channel and look out for a Party post featuring the Elena Of Avalor Theme! Aw... love Disney too! The stories and the memories of watching as a child are always heartfelt! This princess looks super fab! I am loving this new Princess! Not only is she beautiful, but I love what she represents! She's a beauty! I love that Disney does a pretty decent job of representing all cultures for their princesses. I know that hasn't always been the case. Can't wait to check out Elena of Avalor when it comes out on the big screen! I'm thrilled Disney is finally creating princesses of color like Tatiana and Elena! This looks so cute! I am just dying for my daughter to get into Disney princesses but it hasn't happened yet. I must confess that I love Sofia the First! My husband laughs because we don't have a daughter and yet I still watch the show. :-) I can't wait to see what they do with the Elena storyline! We are so excited to check this out when it comes it! I think these pieces are all so amazing! I have some Latino friends whose girls would love this stuff. I know that they have been waiting a long time for a Latino Disney movie. I've heard about this new disney princess and I can't wait to watch the movie. It all looks so cute. Looks like a wonderful new line of toys. I had no idea there was a new Disney princess. I don't have any kids so I'm not a Disney fan but she is beautiful! Glad they are diversifying Disney characters. She's such a lovely princess and I'm really glad that Disney finally introduced her! These merchandise are lovely and I'm sure girls everywhere will go crazy over them! Especially the dresses. It's so nice to see that there is a Latina Disney Princess now. 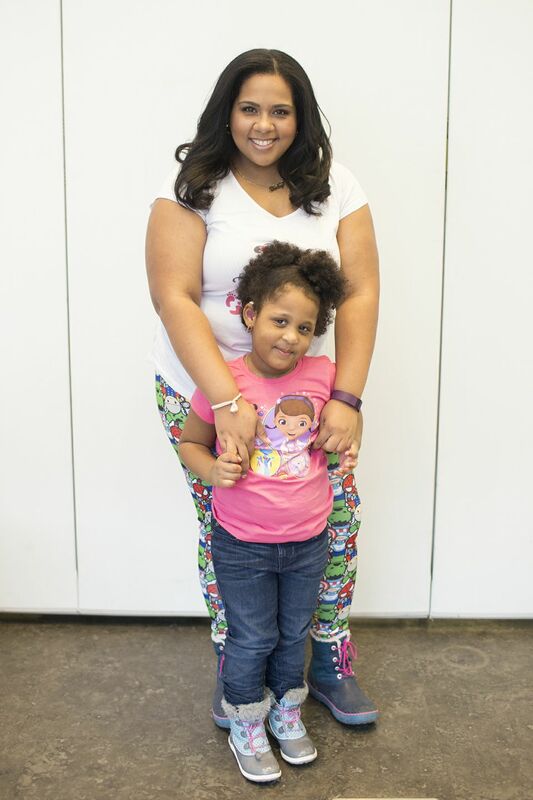 It's so important for young girls to be able to see images of themselves in the media and on television. Ok, I am in love with the winged jaguar. And, Elena's hair is so cute. Looks like a lot of cute, colorful toys in this line. I am happy to see a Latina Disney Princess! I cannot wait to see these products in person! That light up dress and the jewellery set is awesome! My daughter would love it! I am seeing this new princess everywhere and I love it! So much fun and I love all the colors with these toys. Those are so cute. I have boys so I had no idea she even existed! So happy to see more princesses that are diverse being released. I love that they have a hispanic princess now! It's going to be great for the kids and I'm excited about it too. Wow, what fun products! I am so excited to see a Latina Disney Princess! She seems like such a great character for girls to love. I can't wait till this princess show comes out! We have been watching the commercial/song for weeks and waiting. It's good to know they are releasing the toys right away too! How fun and exciting! My daughter would love all of these things, especially the Disney Elena of Avalor Storytime Guitar. I love that Disney is doing more to improve diversity with their Disney characters. I remember Sofia the First and Elena would be great.